TheAngrySpark: The Smurfs invade Farmville... Kinda. 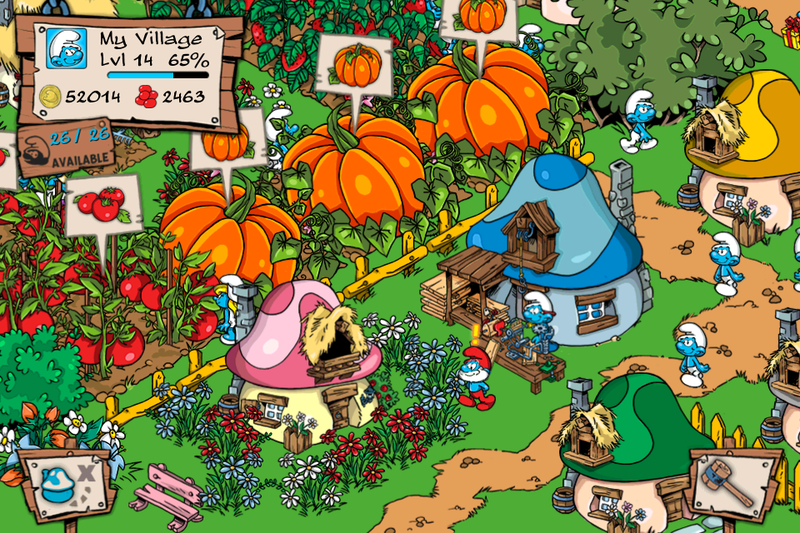 Have you ever been playing Farmville and thought 'I wish there were a couple of Smurfs in here'? Well sit right back and enjoy friends because your day has arrived. Oh sorry, I had some technical difficulties there for a sec *ahem* The game doesn't really have anything to do with the movie from what I can see. 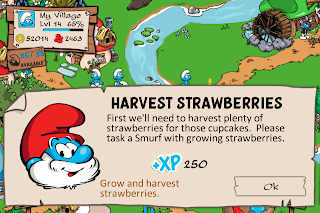 It's pretty standard building, farming, and socializing stuff- just with a Smurfy flair. Nice cartoon look though. 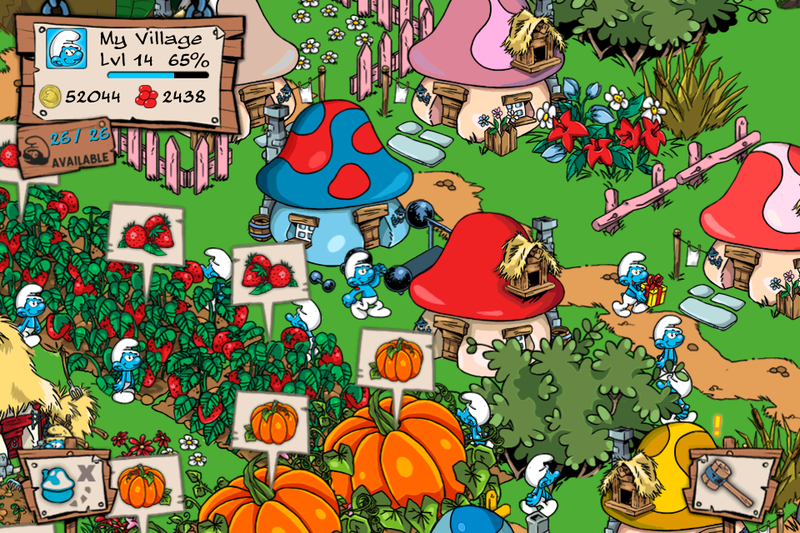 Smurfs will be out next month on the App store for free. In anticipation of next summer’s 3D live-action/animated family comedy The Smurfs, Capcom® Mobile, a leading developer and publisher of video games, today announced that it will be releasing a social network game for the iPhone, iPad and iPod Touch based on the beloved classic franchise, the SmurfsTM. Dubbed Smurfs’ Village, the game tasks players with rebuilding the Smurfs’ village after it has been destroyed by Gargamel. 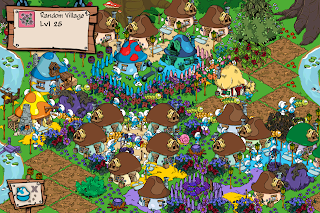 Smurfs’ Village is the first in a series of entertainment projects based on the legendary blue creatures. Based on the original cartoon and comic art, players begin the game under the guidance of Papa Smurf, with only a single mushroom house and a lone plowed plot of land. From there, things quickly progress, allowing players to build specialized houses, elaborate gardens with colorful crops, bridges to span running rivers, trodden paths, and more. 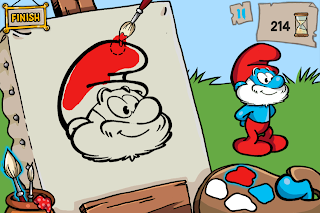 Fan favorites like Papa Smurf, Smurfette, and Jokey Smurf will bring unique skills and perks to the village and users will be able to play mini games like Greedy Smurf’s Baking Game, Papa Smurf’s Potion Mixing Game, and Painter Smurf’s Painting Game and unlock additional bonuses. Players can also share the experience with their friends by linking their account to Facebook.